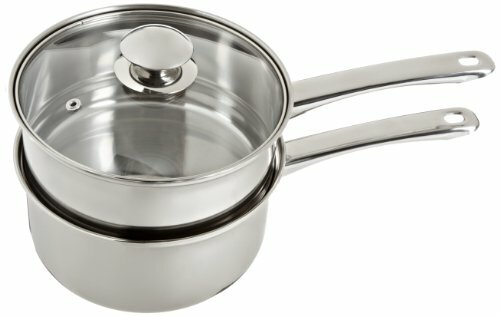 COOKPRO � 3 PIECE STAINLESS DOUBLE BOILER � HWCP579 � Made of highly polished stainlees steel, this 2. 5 Qt piece is the ideal kitchen tool for melting your favorite chocolate and cheese. Features stay cool handles with hanging loops and the see-through tempered glass lid allows you to monitor your cooking whenever needed. The pans are also dishwasher-safe. COOKPRO 528 8Qt Professional 18/10 stainless steel 4 pc multi-cooker with cooker pot, steamer basket, pasta basket and vented tempered glass lid. Encapsulated base provides faster and even heat distribution. 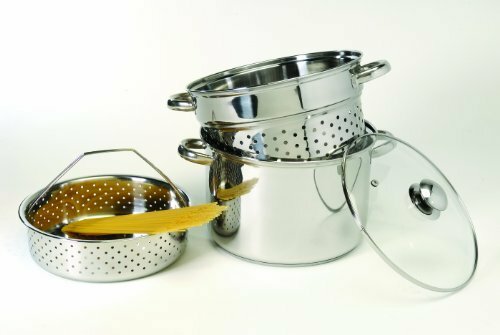 COOKPRO 8 QUART 4 PIECE STAINLESS STEEL MULTI COOKER HWCP512 This multifunction cooker allows you to steam your favorite vegetables, cook pasta, or use it as an 8 Qt stock pot. 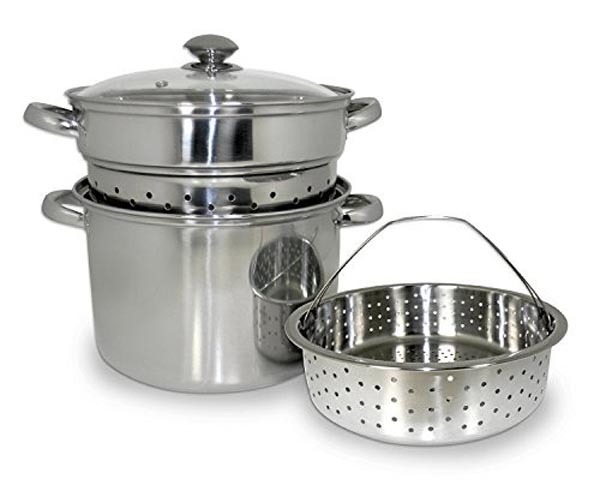 Features: 8 Qt stainless steel 4 piece multi-cooker with cooker pot, steamer basket, pasta basket, and vented tempered glass lid. 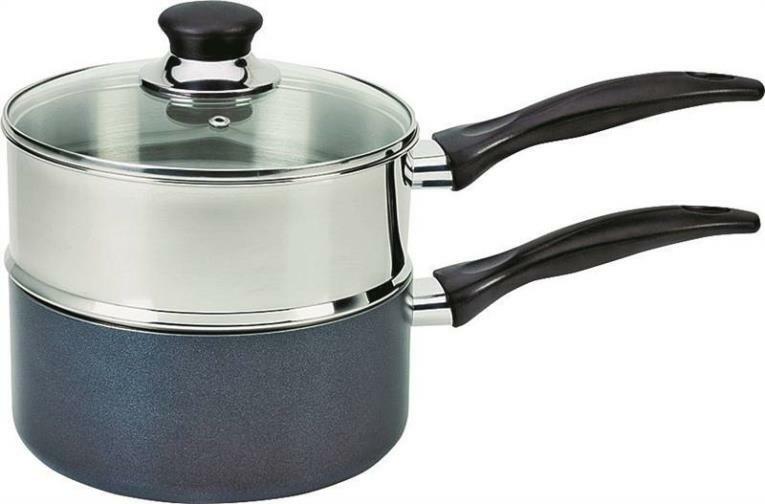 T-Fal 3 quart double boiler with phenolic handle. 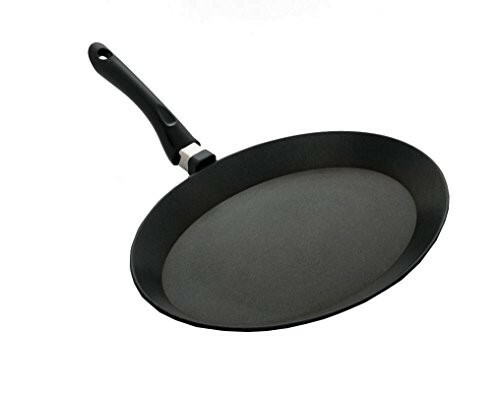 Non-stick sauce pan with double boiler insert Bakelite welded handles & glass lid with venting hole This item cannot be shipped to APO/FPO addresses. Please accept our apologies. COOKPRO 529 12 Qt Professional 18/10 stainless steel 4 pc multi cooker with cooker pot, steamer basket, pasta basket and vented glass lid. Stainless Cookware Set With Temperature Gauge Knobs 20 piece stainless steel cookware with encapsulated base for faster heat distribution. 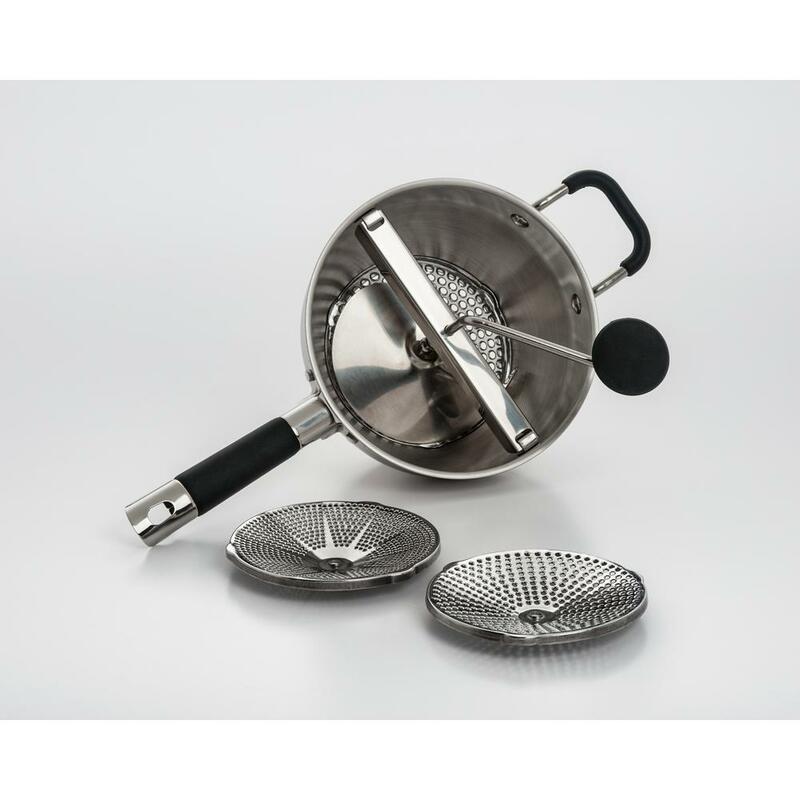 Cookware comes with stainless steel lids with temperature gauge knobs, let’s you know the cooking temperature without lifting lids. 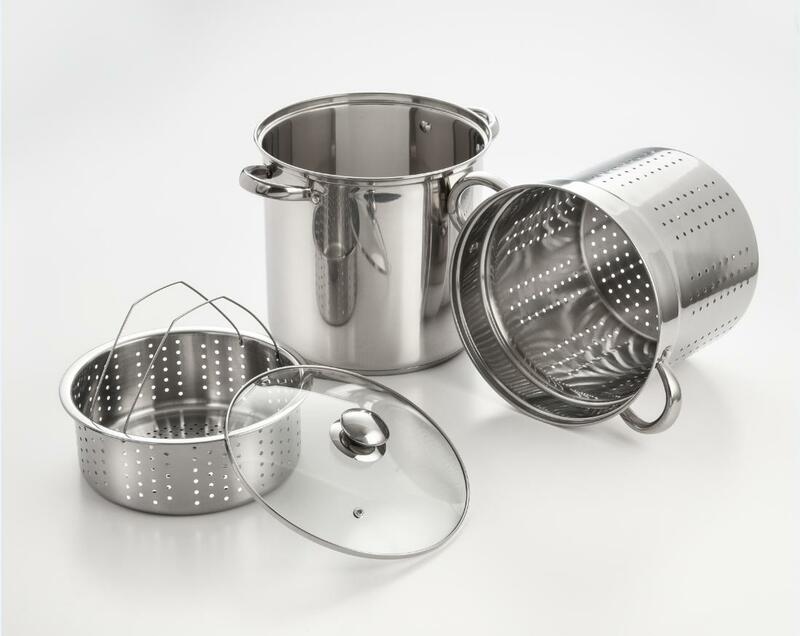 Set includes: 1 QT covered saucepan. 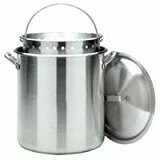 2 QT covered saucepan, 5 1/2 QT Dutch Oven, 8” & 10” nonstick frypan, 3 stainless storage bowls with plastic lids, 6 nylon kitchen tools with stainless steel handles. 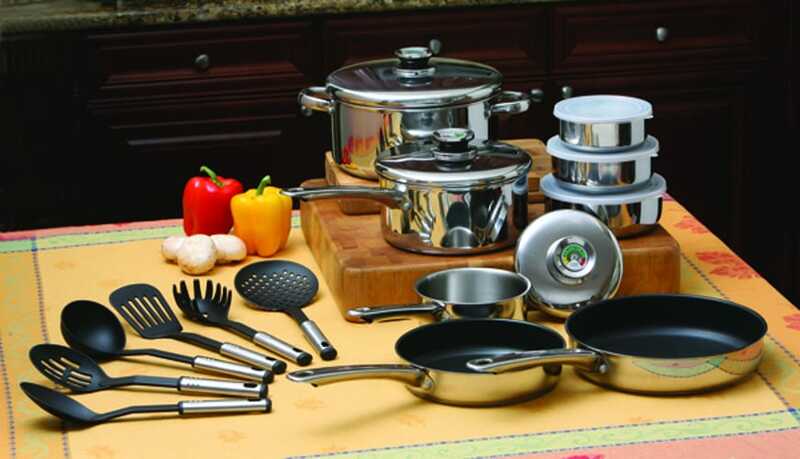 Stainless Cookware Set With Stainless + Glass Combo Lids 10 piece stainless steel cookware with 3. 0mm heavy duty encapsulated base for faster & even heat distribution. You will instantly feel the difference & see the better result. Ergonomically designed handles & knobs enhance comfortable grips. 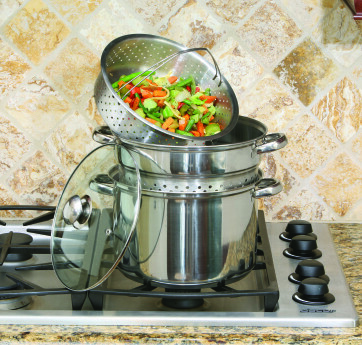 New design glass + stainless combo lids allow you to monitor your cooking without lifting the lids. 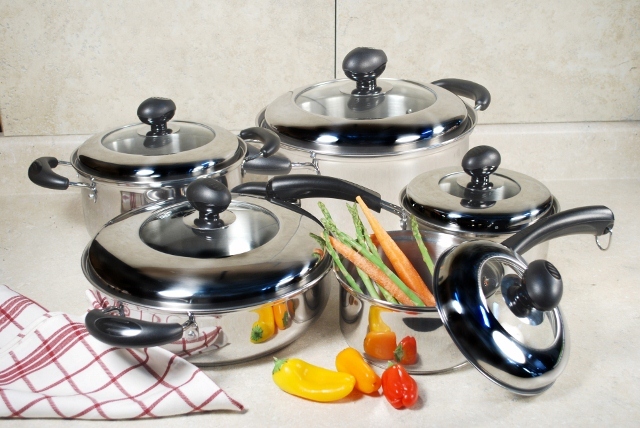 Set includes: 1 QT covered saucepan, 2 QT covered saucepan, 4 QT & 5 1/2” QT covered Dutch Oven. 10 1/4“ x 3 1/4” everyday pan . 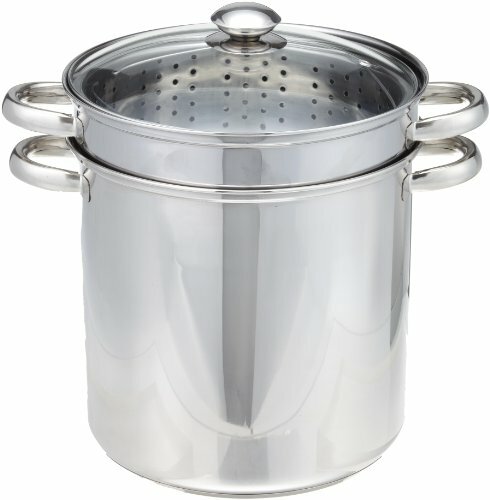 EXCEL STEEL MADE IN ITALY 2QT STOCKPOT� STAINLESS STEEL� HWCP450 Our line of Italian cookware is made with the finest materials. 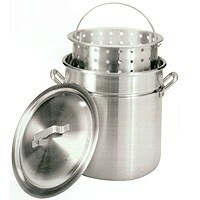 2QT Stockpot constructed in high quality stainless steel from Italy for long lasting use. 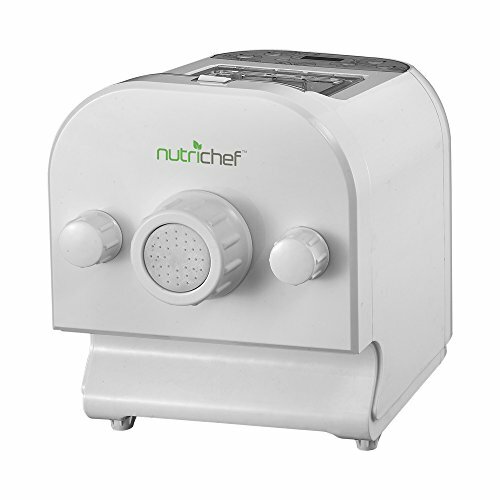 Aesthetically pleasing sandwich base design, to ensure even heat distribution and faster cooking times. Distinct knob on the lid can be hung on the side of the stock pot when resting.